In the previous page, we have seen; 10 Ways To Secure Facebook Account From Hackers but do you know, your Facebook account has three passwords? Facebook permits us to login to FB account by using 3 passwords, and common users are not aware of this feature. Most of the social networking sites do not use encryption, so their websites are an easy target and to prevents such easy to hack, the Facebook made changes to the user account logging process. You can use different methods to create a password, but how to create a good password that you shouldn't forget. You not only know how to change a password but also while login with the Facebook e-mail you should know there are 3 passwords for your account and you don't need any Facebook password recovery software. Don’t get troubled; this is made by Facebook to simplify the user login procedure. That's actually a good thing because it's incredibly important. But I just want to tell you Strong Security Passwords is the best defense against Facebook hackers. This article presents a plain-language guide to help users understand how 3 passwords are made by Facebook for you and it allows you to easily log in to your FB account. Learn how the Facebook Account has 3 passwords, how to secure your email account, and how to keep it secure. Under the category of FACEBOOK, last time we have seen Create Your PayPal Account Fast - Safe, Easy & Verify For FREE 2018 | Rs.200 For Signup even from any old mobile too. But this time, we are going to see somewhat security and how to keep your Facebook account more safe from hackers. Facebook Update: The Facebook passwords are not case sensitive, you can able to get into your account with 3 ways. You can use these 3 passwords to easily log in to your FB account. Check out 3-Password trick used to login to the Facebook account. First is your current default working password. Second password is made up by upper-casing the 1st character of your current password. Third password is made up by toggling the case (i.e. upper-case to lower-case or vice-versa) of your current password. You may also like to read; How to See Locked Profile Pictures in Facebook. Is my email safe? Why FB made changes? The fb security made this just because to make easy logins for all users for preventing authenticating errors; facing lots of users while login into their accounts. Also, lots of users kept their CAPS LOCK ON in PC or in case of a mobile-first word is always CAPITAL, so by considering these issues, Facebook made these changes for authenticating logins easily. Yes, you also have multiple usernames for your Facebook account too. Third is your MOBILE NUMBER associated with your account. 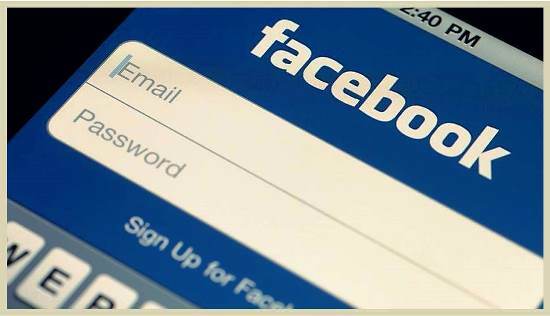 You can login to your Facebook account with any of above-mentioned combination. If you know any other method or idea about Facebook Security then let us know, we will glad to add it on this page.